The First World War lingers in the memory as humanity’s first encounter with industrialized killing on a mass scale. New weapons of the machine age obliterated forests, villages and fields – an entire way of life. This new type of war also deeply shaped the thinking of men who experienced it firsthand. Among them were J.R.R. Tolkien and C.S. Lewis, two of the greatest Christian writers of the last century. Generations have delighted in Tolkien’s The Hobbit and The Lord of the Rings, and Lewis’ The Chronicles of Narnia and Space Trilogy. But what people often miss in the work of both men is their profound – and deeply Christian – love of nature and its creatures, and their equally deep distrust of man’s temptation to dominate and abuse; to treat creation as dead matter available for exploitation. That word “creation” is a key to understanding both writers. For both Tolkien and Lewis, all life and all creation are gifts of a loving God. Neither man disputed the good in modern technology, but they saw clearly that the world is a kind of sacrament, alive with a beauty that points to its Creator. We don’t “own” the earth or its creatures. We have dominion over the world only as its stewards, not as its sovereigns. And as stewards, we have the duty to respect the created order and husband it for the common good. From the start of his papacy, this Holy Father has tried to model St. Francis’ simplicity and joy. And just as St. Francis treasured the beauty of the world as a mirror of God’s love, so Pope Francis seeks to protect its beauty as a good steward. That desire to protect, along with a keen sense of justice, is the spirit behind this encyclical. “If we approach nature and the environment without [a spirit of] openness to awe and wonder, if we no longer speak the language of fraternity and beauty in our relationship with the world, our attitude will be that of masters, consumers, ruthless exploiters, unable to set limits on their immediate needs … The poverty and austerity of St. Francis were no mere veneer of asceticism, but something much more radical: a refusal to turn reality into an object simply to be used and controlled” (11). For the Holy Father, a humane ecology includes much more than our treatment of the material world. It involves our bodies, our sexuality and our personhood as well. 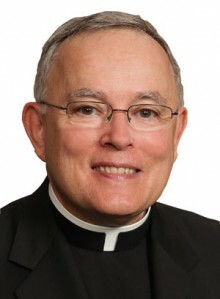 Thank you Archbishop Chaput. Your words are full of hope, and I look forward to reading Laudato Si without apprehension. God bless you always.